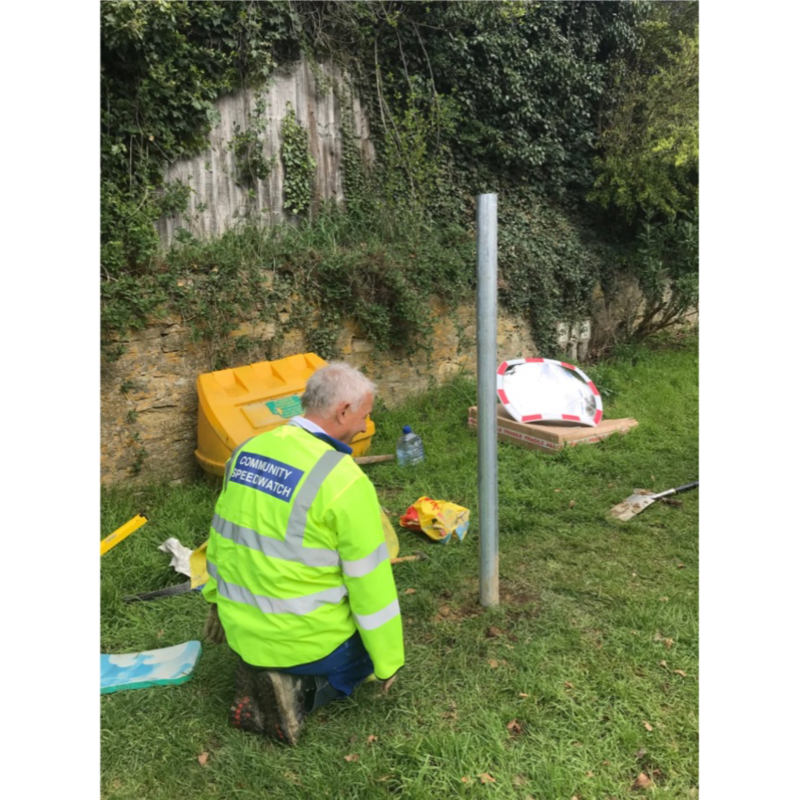 A team from SAFER today installed a mirror at the Boot Street / Laughton Hill junction. It has been located so those exiting Boot Street have some warning of vehicles approaching up the hill and equally those coming up the hill are aware of vehicles in Boot Street. 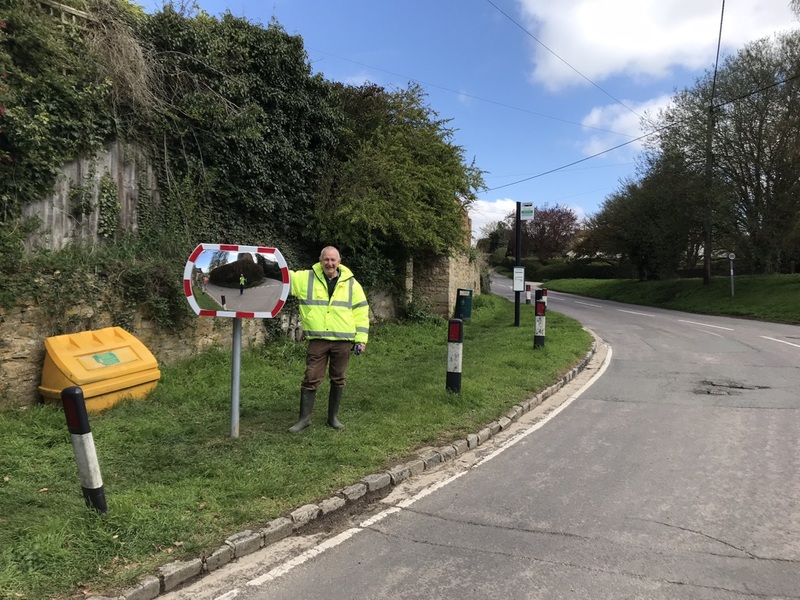 Paid for by the Parish Council, this addition will hopefully improve the safety of pedestrians, cyclists and drivers in Stonesfield at this tricky intersection.